CHEM Safety is a designated training partner for Propane Training Institute (P•T•I) courses in Alberta, Saskatchewan, and Manitoba. In cooperation with PTI, a subsidiary of the Canadian Propane Association, CHEM Safety offers a wide range of propane safety courses to help your company comply with provincial Gas Codes and the Transportation of Dangerous Goods Regulations. PTI courses are recognized by regulatory authorities across Canada. Classroom training is combined with practical hands-on instruction and exams to promote worker competency. 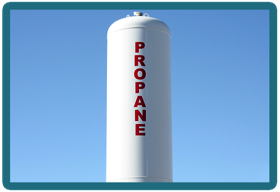 Propane courses have been designed to address specific job-related topics so that your employees can take the training that is appropriate for them. Contact us to determine which course is best for your workforce. CHEM Safety (Formerly Escalade Training) is an authorized distributor of Propane Training Institute (PTI) propane/ LPG training materials for Alberta, Saskatchewan, and Manitoba. We service PTI-certified Examiners and Trainers in the region with student workbooks, exams, DVDs, PowerPoint presentations, and Code books. Contact us to request an order form or more information. TIP: Transport Canada requires TDG certification if your personnel fill propane cylinders larger than 40 lbs size. Contact us for details.